First person (that doesn't have the last name of Rose) who correctly identifies what movie this painting is from gets my respect. This painting has resurfaced in a recent Academy Award winning movie. Yes Preston is correct. One of the best movies ever made. Viggo the "what" though? 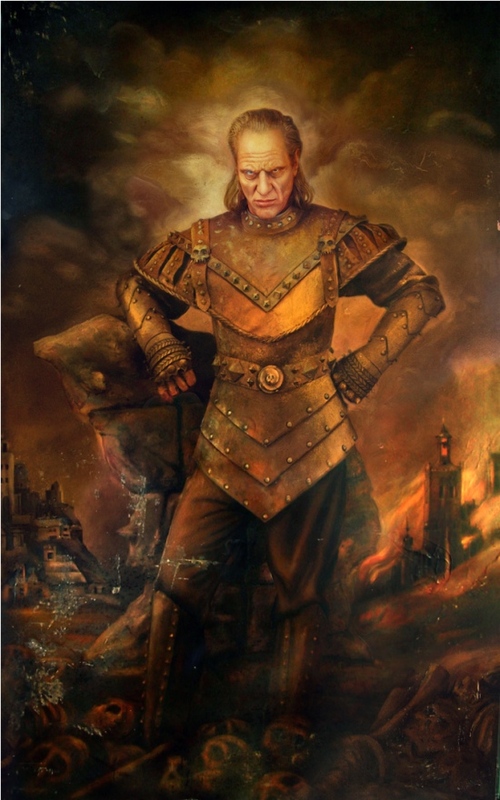 For some reason, this painting was in the Oscar-winning documentary "The Cove"
Vigo the Carpathian, I believe.